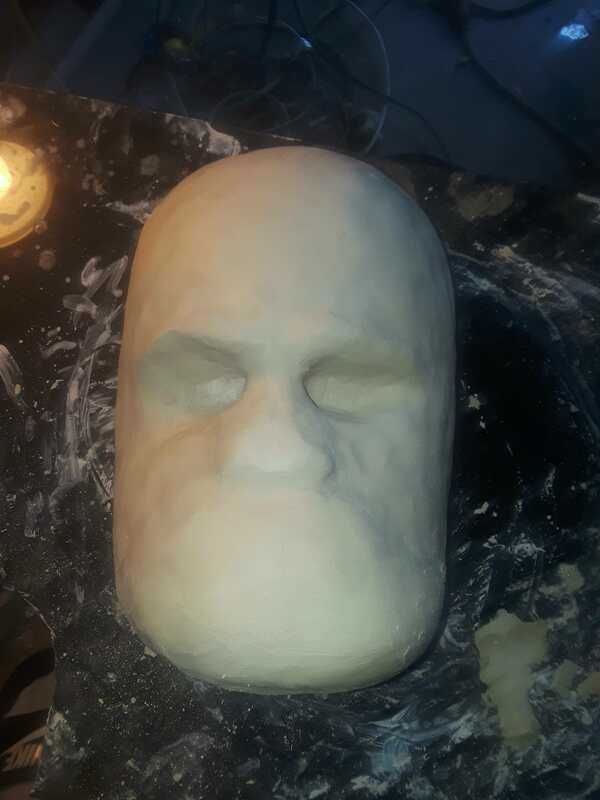 So I've studied Chef's tutorials and read Ryan Rick's blog (these guys are awesome) and thought it was time to try my hand at making the mask. 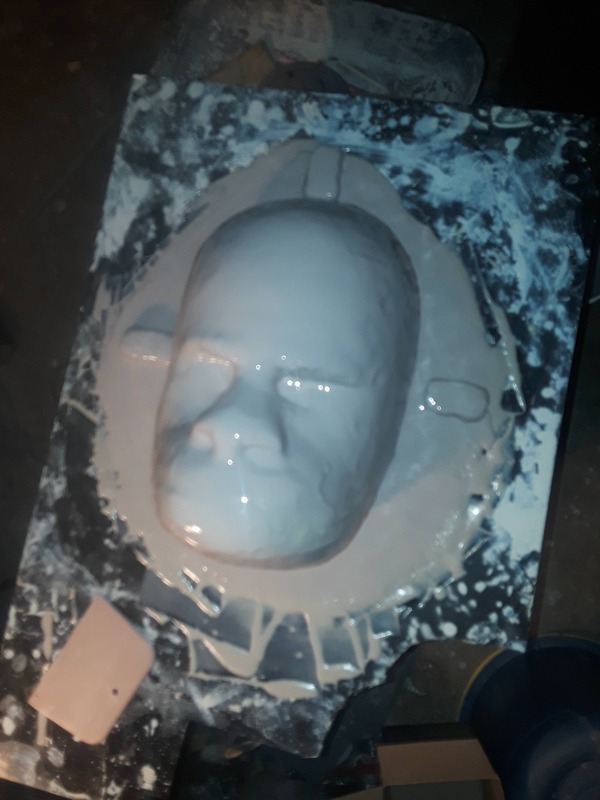 This is my first time working with fiberglass, so I hope I don't forget a step along the way. 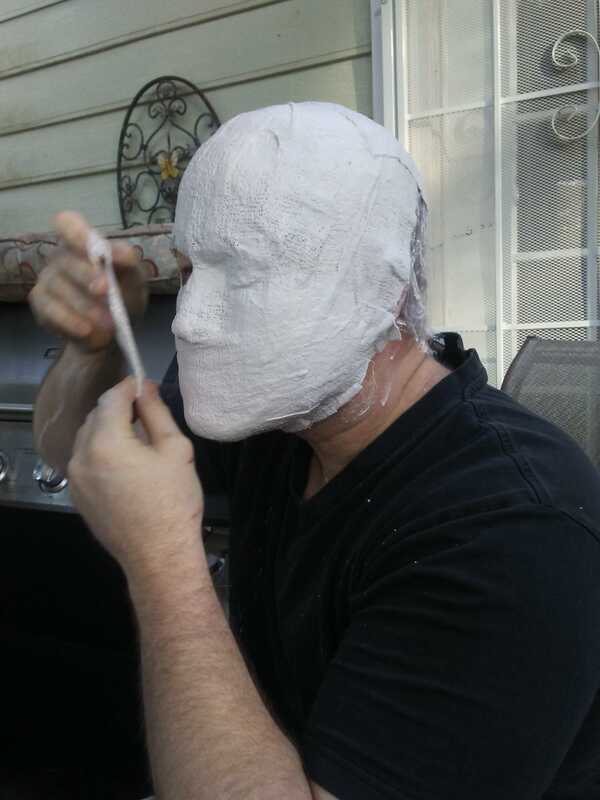 I started making a plaster bandage wrap of my face. 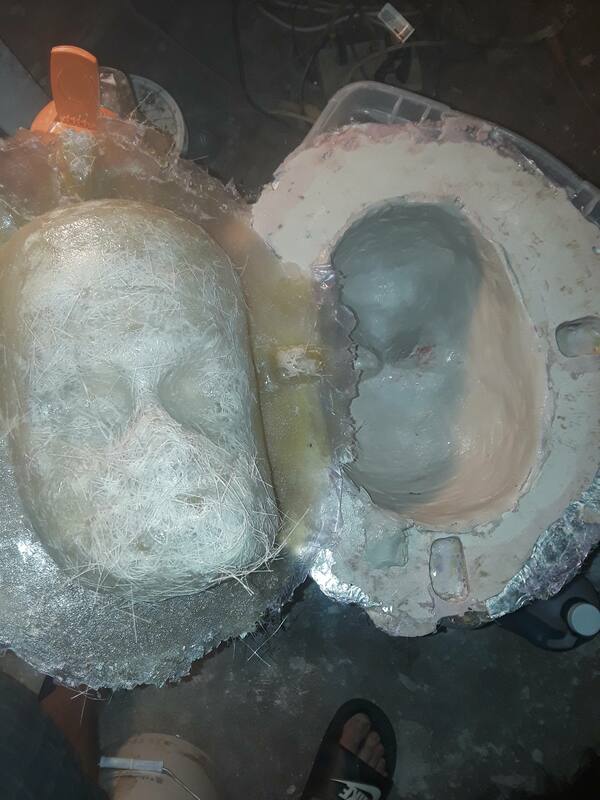 I had alginate to do it right, but I thought it would give my wife a reason to suffocate me, so I decided to do it myself and went this route. 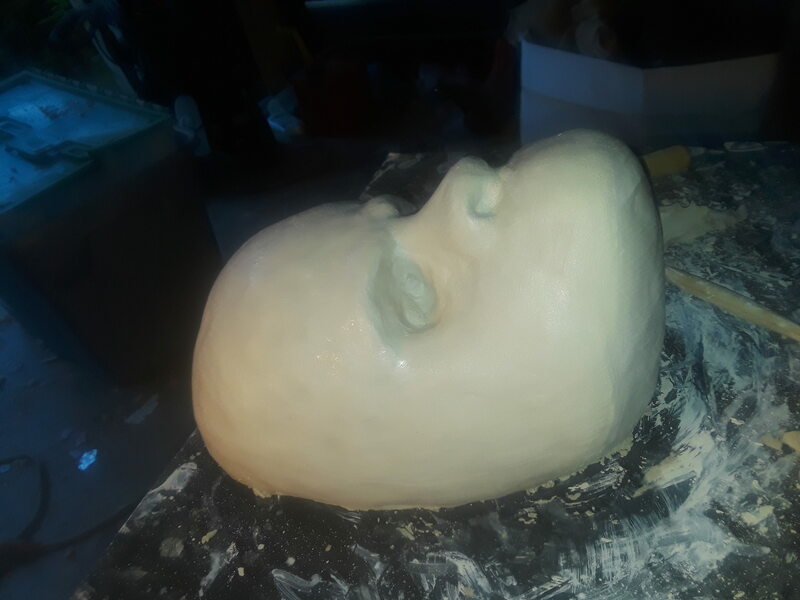 I figured that it didn't need all the details since I would be sculpting over it. 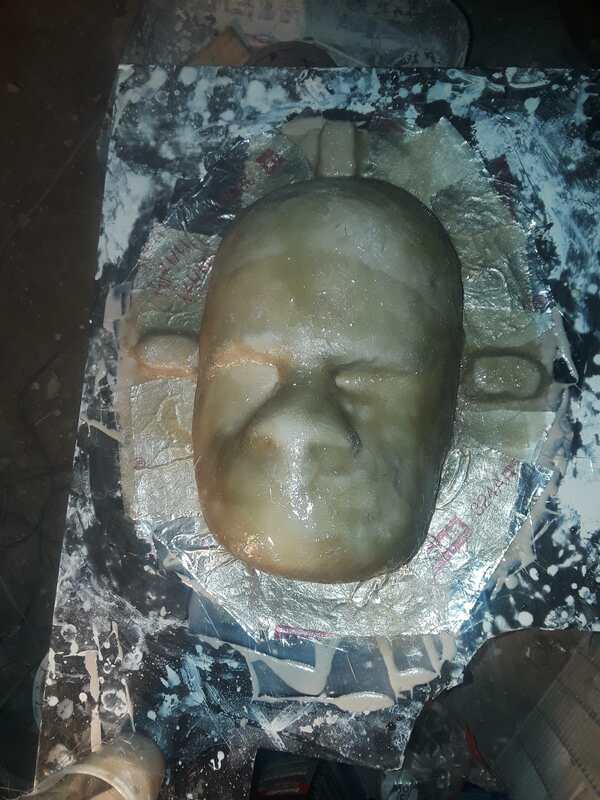 Beginning stages of the sculpt. 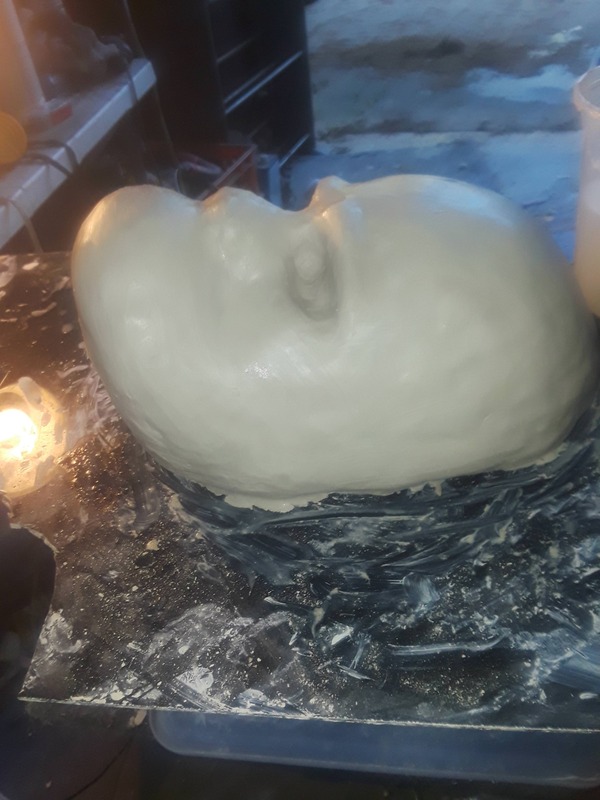 I added clay everywhere except the eye sockets then smoothed it out. 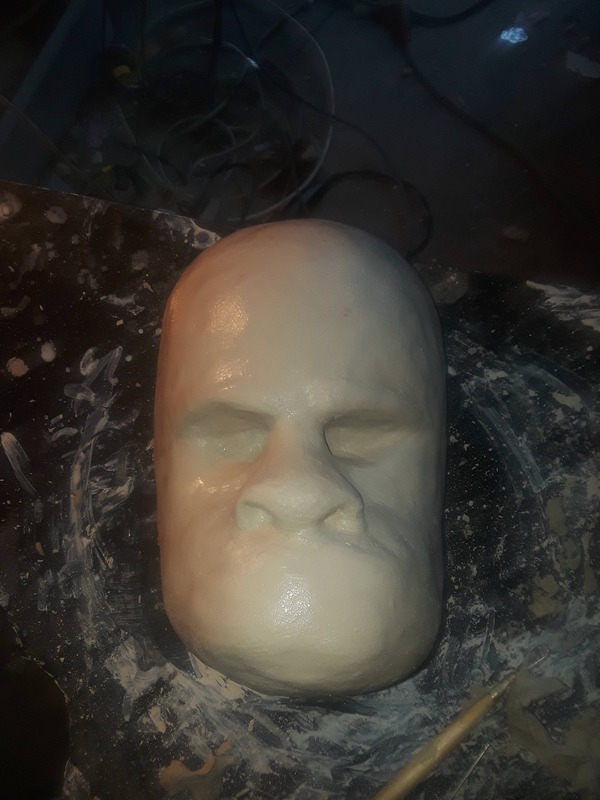 I'm waiting to get the general shape before adding the mouth and nose features. I decided the snot was too long and looked weird so I continued to work on it. 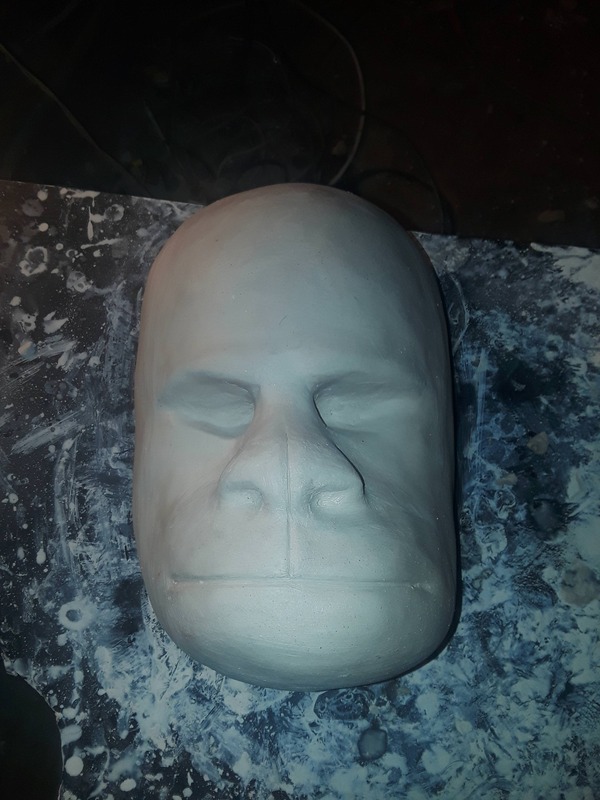 I worked on it for 2 days trying to get the nose and mouth line right. I settled for this. Then right before I was about to mix up the GEL coat, I worked on it another hour. This was the final pic I got before the GEL coat stage. Mixed up 50/50 fiberglass resin and Bondo = Rondo GEL coat. I didn't have any mold release, so I used liquid dish soap on the clay and border. I hope it works. I let it dry overnight and added another coat. Almost forgot the register keys. 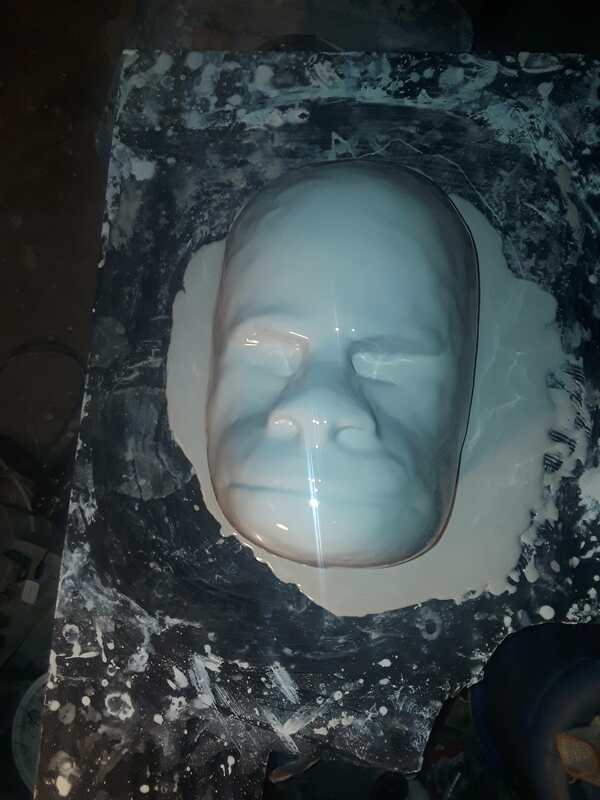 I let the GEL coat dry for 2-3 hours and then added the first coat of fiberglass tonight. I don't like working with the fiberglass cloth. 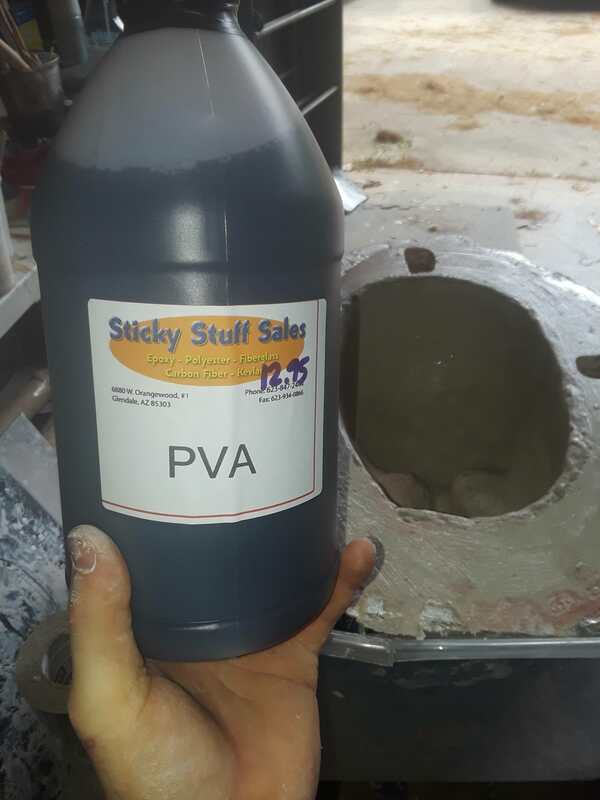 It was kind of thick and took a lot of resin to saturate it. I might need to get some fiberglass mat and see how that works out. Just layed up a second layer of fiberglass. 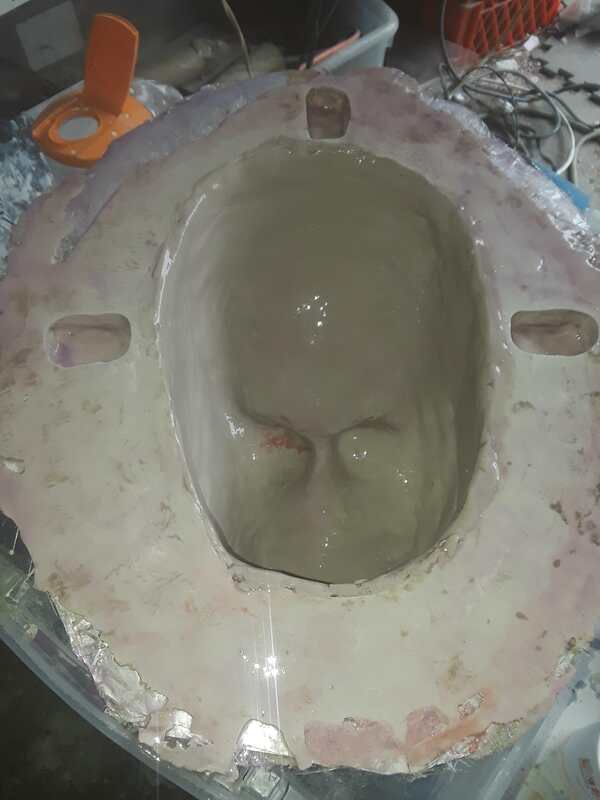 Gonna add some Rondo mix to the flange area to give it some strength in about 30 minutes from now, then let it sit and finish up the night with the third and final fiberglass application. Glad to see this. I may end up having to do something similar in the future. 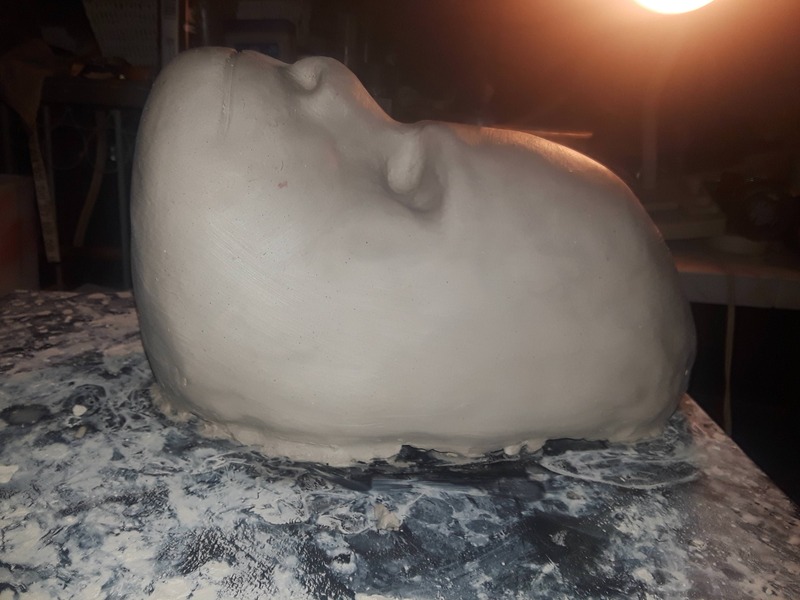 It was difficult to get the plaster cast of my face out because I didn't lay some clay around the edges and some of the Rondo leaked under and I had to chip away at it for an hour to start digging out the clay around the edges. 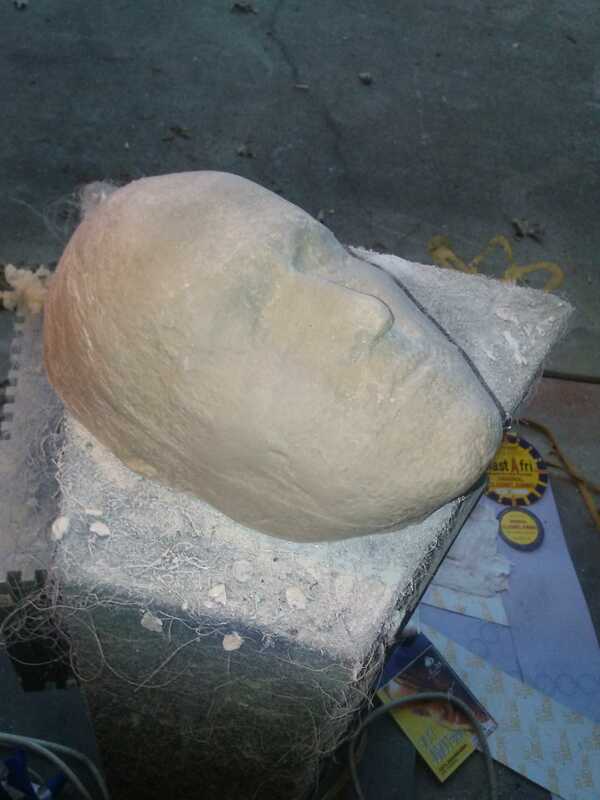 I pryed the plaster face cast out finally and the clay was scraped out. 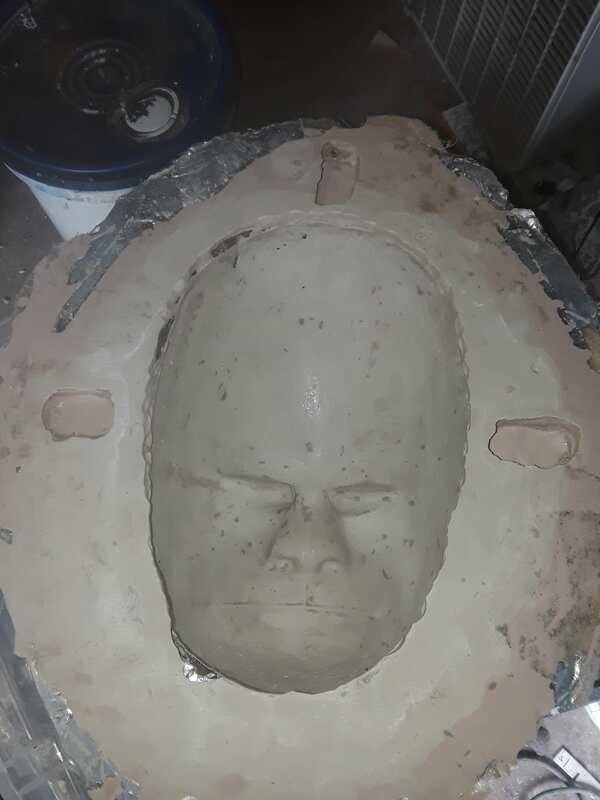 I wasn't worried about getting all the little clay specs out because I'm going to lay a 1/4" bed of clay back in there to leave the void for the silicone to lay for the face. 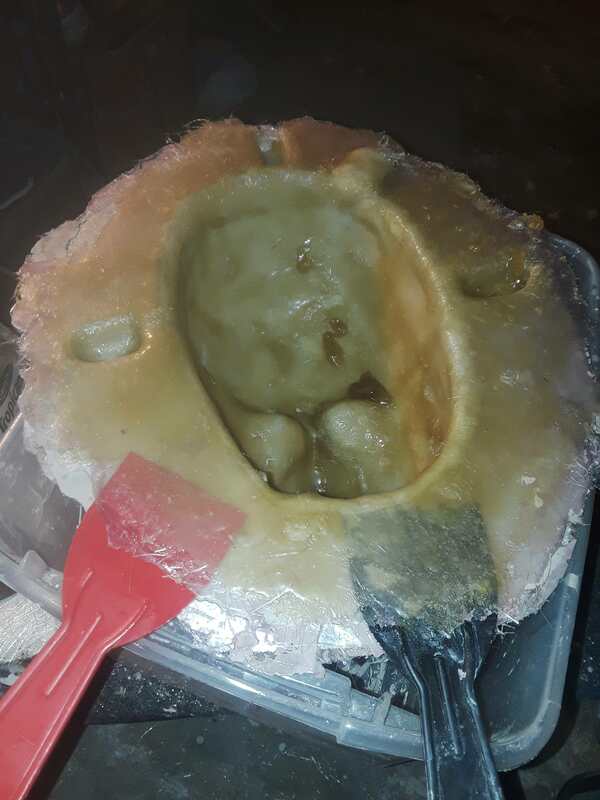 I also repaired some of the edges of the negative with bondo. 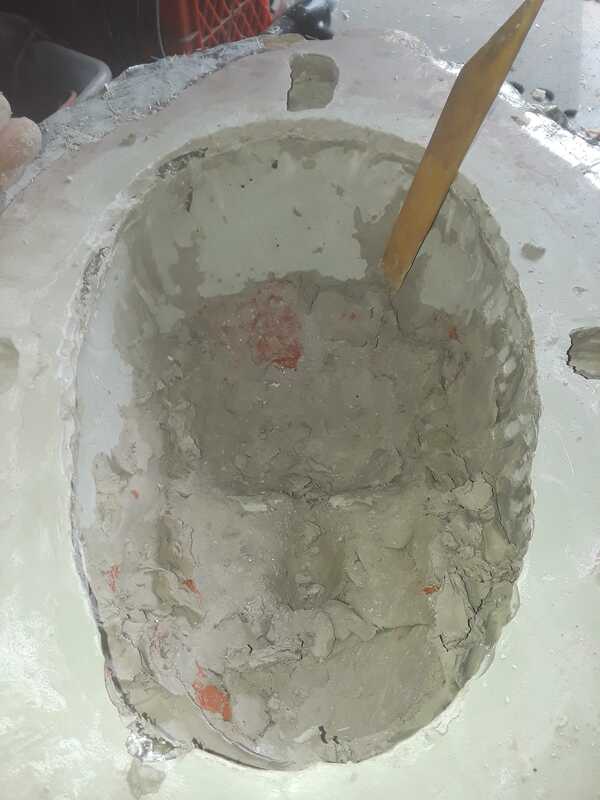 Layed the clay 1/4" thick and checked the measurement with a toothpick to make sure it was layed evenly all around. with a foam brush. Let it dry 30-45 minutes between each of the three coats. Lifting off the fiberglass inner shell off. Just did 1 layer on the inner shell. Slight problem...This is what happens if there is moisture inside the mold. 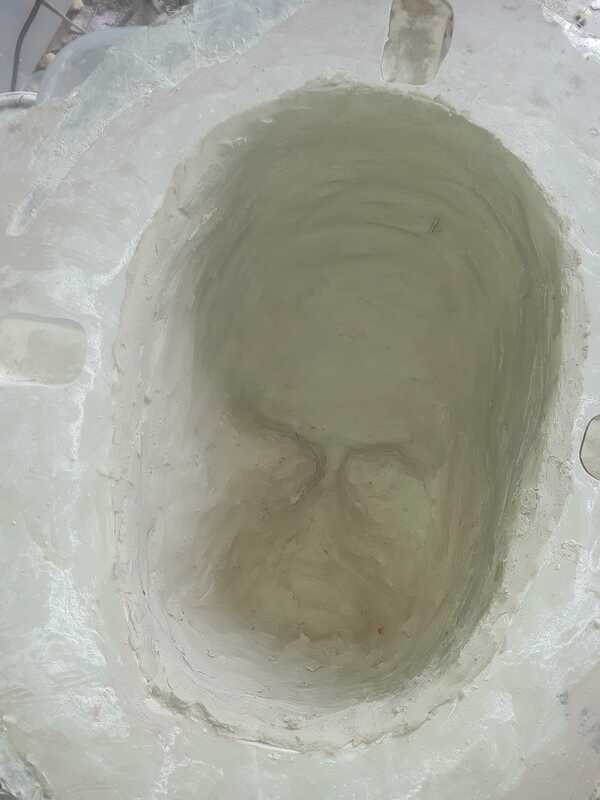 Fiberglass doesn't like water and I used water on the clay to smooth it out and didn't let it dry. I'm gonna still use it. Just let it dry overnight and add some more resin to lay the mat back down.